Use these new car buying tips when it's time to find your next new car. The best new car tips for getting the new car you want, at the best price start with doing your homework before stepping into a dealership. Yes, I know that seems obvious, but most of us do exactly the opposite. If you've followed us here, on OnlyMustangfords.com , for a while, you may have heard the term Mustang Order Guide. Well, whether or not you're looking for a new Mustang GT or a new family car to haul around the family, you can't be out cruising in your pony car, a good place to start, is getting information from the order guide, or a summary of the guides like you'll find here on this Ford Mustang site. What you'll find, on an order guide, is usually first, a summary of the changes from the previous model year, as well as listings of different option packages, such as a deluxe interior package, or what is included in the V6 performance package. These can sometimes be found for free download, on your local dealer's website, and are usually available a month or two before production of the new model is to begin, and are part of your important new car buying tips and tricks. Knowing exactly what you want, before you take a step towards a new car can save you a lot of money on items that you never really wanted. Save for a very few dealerships that offer a "no haggle price", it's important to know that the price you pay for your new car is negotiable, and can vary from the suggested list price for a number of reasons. Federal law prohibits price fixing, so the list price is really just a guide. Nonetheless, no list of new car buying tips, is complete without looking more fully into the new car MSRP. Factors that affect the list price in your benefit, can include dealer incentives, model year clear-outs, and individual dealer profit margins and location. Other factors that can end up in you're paying a price that's higher than the suggested list price, are dealer installed items, such as stripe packages, or a vehicle with unusual popularity, like a limited edition model, or a new vehicle or engine introduction (eg the 412 horsepower Coyote V8). For example, when the 2005 Ford Mustang hit the dealerships, demand was feverish. 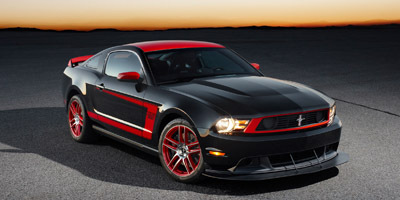 Everybody wanted one, and particularly the new Mustang GT, with it's huge, for the time, 300 horsepower 4.6 liter V8. Bottom Line was, that many Mustang GT's left the showroom floors at a price that was actually much higher than the sticker price! If you either work for an automobile company, or an affiliate (dealer), or even a supplier of parts for the company you may be eligible for big discounts. Ford has a partner recognition discount plan called the Xplan, which may net you a better deal than anything you can bargain for, at the dealer lot. It's available to employees, retirees, spouses and other household members, fleet partners,Tier 1 suppliers and others with a "special arrangement" with the company, (including some associations). It's always a good thing to ask around, you never know! One auto part company I worked for, supplied OEM (original equipment Manufacturer) parts to several of the automakers, and along with making it almost impossible for the company to own any other vehicles than one of the suppliers, it made for a nice little bonus for employees and family, when it came time to look for a new car! Most of us, when we think of buying a new car, simply head to the showrooms and start looking. But, armed with research, order guide information, the MSRP and a clear idea of what you want, you can get exactly the car you want and need. It's also one of the most important new car buying tips, if you are trying to get one of those new kid on the block arrivals that command a premium price. But, if it's not on a lot, and you don't need it right away, you can order it. While this kind of eliminates the possibility of haggling, it does get you exactly the car you want. It also allows you to get just the right combination of optional equipment, that you may never see on the lot. And this is one of the more important new car buying tips, because you can eliminate the mandatory "options" ordered by the dealer, which boost the price. About the only time this isn't possible, is when the manufacturer is just about to change to the next model year. And that can present some more opportunities to get a good deal. Well, not quite, but close. When you have a pretty good idea of when the new model year comes out, you know that last year's model is not what the dealer wants to deal with. He wants to sell the latest and greatest, even if that's only as of yesterday. Buying your new car right when the next model year hits the dealership, is a great time to push for the lowest price possible. And how do you know what is a good deal? Because you did your homework leading up to that day, used these new car tips and know what you could have paid (or close to it). Take that information, and combine it with some research on low mileage used cars of the same make and model and that will get you into the ballpark, knowing that the advertised price for those used cars, is going to very likely be higher than what you'd actually pay. This might surprise you, but there's one really different way to pick up a huge deal on a new car, or actually a very nearly new car, and that's a lease takeover. If you haven't heard of a lease takeover, what happens, is that someone who needs to break their new car lease and the only way that can happen, is if someone else takes over the payments. The advantage to you? Little or no down payment, and sometimes even a cash bonus, just for you to take over the payments, so they don't have to. How cool is that for new car buying tips? Use this information, along with information from our cutting edge Ford Mustang site and find what you need to get your best deal in a new or nearly new, car. Oh, and stay tuned, for more new car buying tips, as I find them. You'll hear them here first.